One thing that helps a movie or TV character seem more real is a wardrobe-related good luck charm. We all have a favorite piece of clothing or jewelry, one we like to wear to make us feel happy or lucky. Some of us have a piece of jewelry we wear every day, a ring given to us by someone special or a necklace we got on a great vacation. I love noticing when a character has something like this. In my experience as a costume designer, I know how much a little costume detail can help an actor get into character. Whether the audience knows it or it’s simply a small item that goes into the actor’s backstory or inner monologue, it makes a difference. Sometimes it’s a choice I’ve made as a designer that they then incorporate into their performance. Other times actors have a special request. I once worked on a theatrical production of Neil Simon’s Laughter on the 23rd Floor, which is a semi-autobiographical account of Simon’s time as a writer for Sid Caesar’s 1950’s TV show. The actor playing the Simon part had discovered in his research that the real Neil often wore red socks for good luck, so he asked me if I could find him some red socks to help him feel more like the character. No one in the audience knew specifically why he had red socks, but the actor felt more at home in his character, and turned in a great performance. I always like to watch for good luck charms. Even if I don’t know their specific story, I know that they probably have one, and it’s fun to speculate. In the 1995 BBC adaptation of Pride & Prejudice, Elizabeth wears a gemstone cross necklace throughout the entire series, presumably because it means something special to the character. In both Bridget Jones’s Diary and its sequel, Bridget wears a silver heart pendant in every scene. 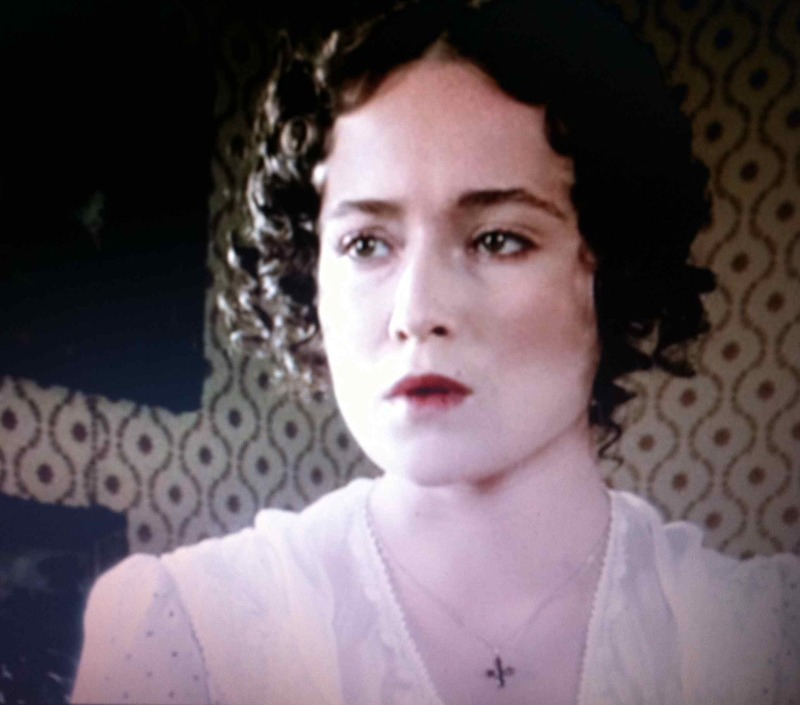 So much of these two movies, particularly the first, is a loving homage to Pride & Prejudice, right down to the casting of love interest Colin Firth, so it makes me wonder – was the choice to have her wear a special necklace a conscious tribute to Elizabeth as well? Sometimes a character’s good luck charm isn’t so subtle. 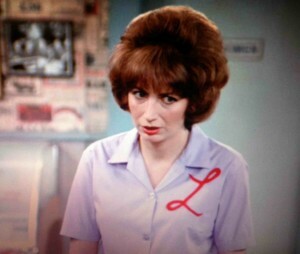 On the classic TV series Laverne & Shirley, Laverne just wouldn’t be Laverne without the iconic “L” she wore on every outfit. Even when the character wore a “costume,” she found a way to incorporate the initial, no matter how ridiculous, which made her even more endearing. Penny Marshall's Laverne and her classic "L"
In 1996’s That Thing You Do!, one of the lead characters, Guy, is given a pair of sunglasses by the band’s new manager, in an effort to create a recognizable, fan-friendly personality. They become his trademark, and earn him attention and a nickname, “Shades”, until the band begins to unravel and the sunglasses are no longer such a good luck charm. *Pride & Prejudice’s costumes were designed by Dinah Collin; Bridget Jones’s Diary featured Rachael Fleming’s designs, while its sequel was designed by Jany Temime; That Thing You Do!’s costume designer was Colleen Atwood.